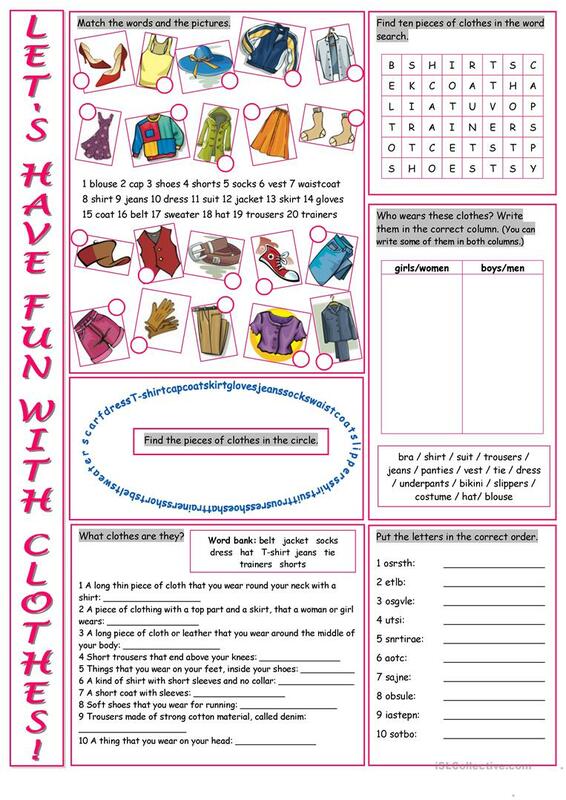 Worksheet on practising/reinforcing clothes vocabulary.Key included. This downloadable teaching material is recommended for high school students and elementary school students at Elementary (A1) and Pre-intermediate (A2) level. It can be used for enhancing your pupils' Spelling, Reading and Writing skills. It is about the topic and words of Clothes, fashion. It includes the answers, too.